Preset and manual controls for UV or time exposure settings. Internal microprocessor measures and controls UV output, ensuring maximum energy efficiency. Consistent crosslinking takes seconds with 8W shortwave UV tubes. 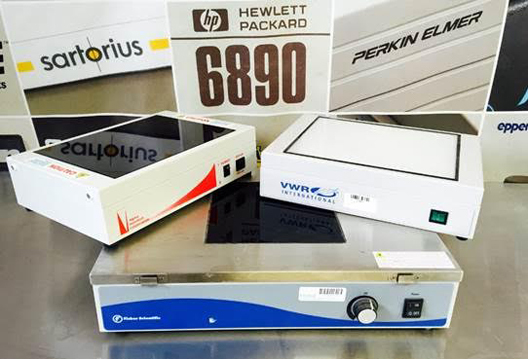 Select shortwave for sterilization and bonding DNA; midrange for gel electrophoresis; or long wave for UV curing. Crosslinker has maximum energy setting of 999,900 µJ/cm2. Uses five 8W UV tubes. Digital LED displays settings. Viewing window blocks UV while allowing visibility of chamber interior. An internal interlocking safety system is designed for automatic shutoff when the door is opened.